The book discussion group currently meets the second Wednesday of each month, at 10:15 AM in the Board Room of the Library. Anyone who loves to read and talk about books is welcome to join in. When Barbara and Wayne Zurl moved to Maryville in 1994, Barbara looked in vain for a book discussion group. When she approached Kathy Pagles at the library, Kathy said, “Why don’t you start one?” So Barbara did and invited several friends to join her in discussing Amy Tan’s “The Joy Luck Club”. That first meeting was in May of 1994. Barbara continued as facilitator of discussions for the next six years. She always did an excellent job of researching the book and the author, and insured that discussions stayed focused. All ideas were accepted as valid, especially when there was disagreement. 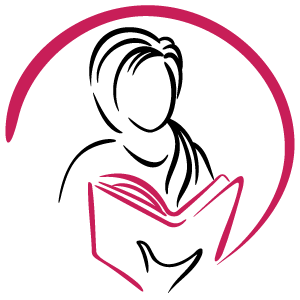 When Barbara moved on to co-ordinate the Ex Libris program of reaching out to assistive living facilities, the members took over, obtaining books on their own and rotating discussion leadership duties. Mary-Anne Lovato coordinates the current group of about 30 participants. They start suggesting books during the spring of each year and compile a list of candidates by June, then vote on them and identify final choices by July. They don’t necessarily read best-sellers but look for books that will generate discussion, may even be controversial.